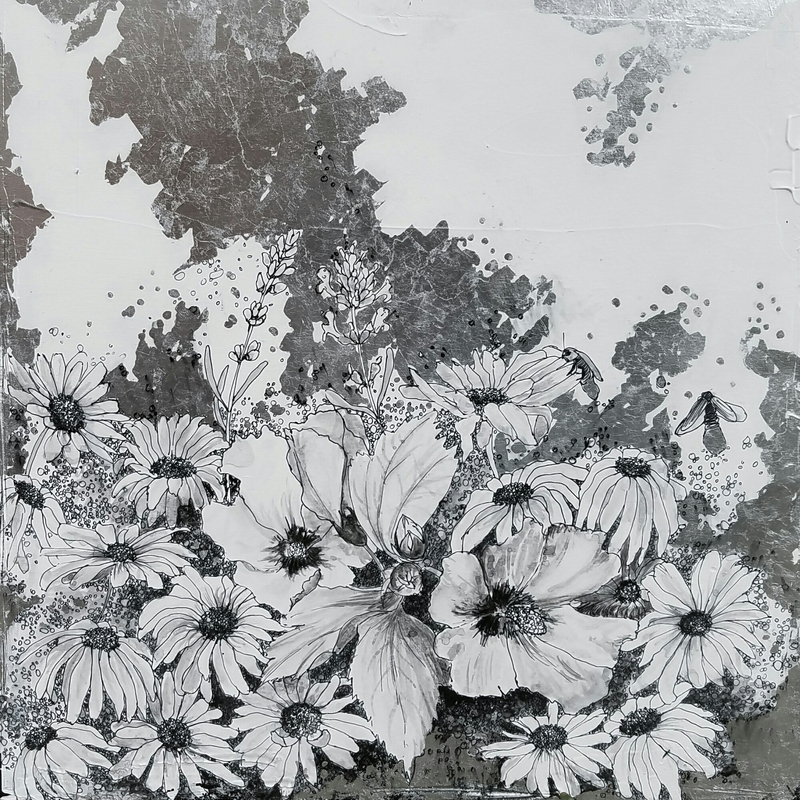 Mixed media drawing: ink, graphite, silver leaf, plaster on wood panel. 14 x 14 inches. From Following the Sun series. A mixed media drawing: ink, graphite, silver leaf, plaster on wood. From Following the Sun series. 14×14 inches. 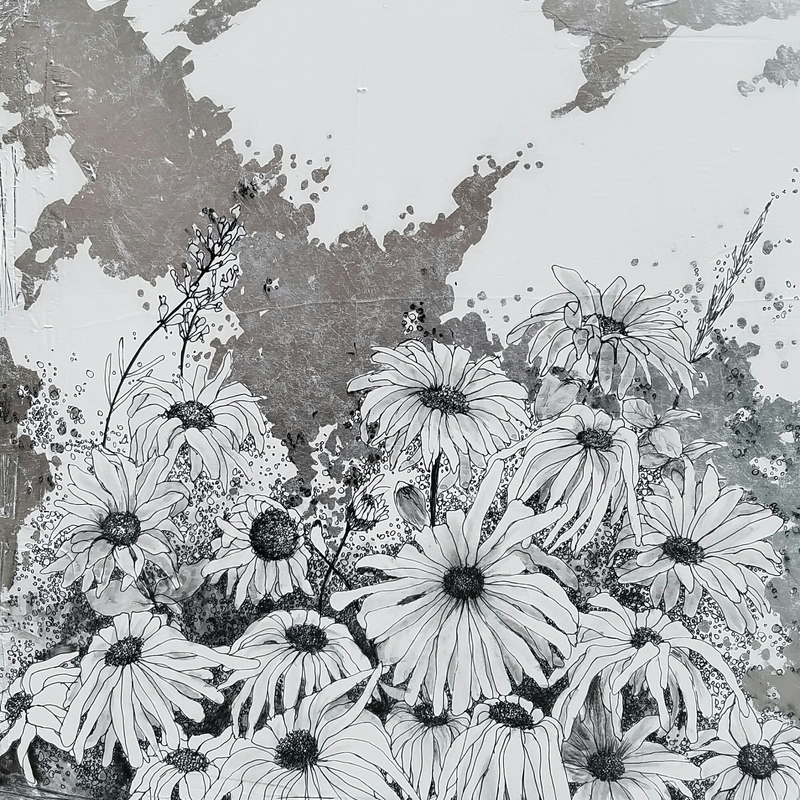 Following the Sun, is an original mixed media artwork from the series with the same name: water soluble graphite, acrylic, silver leaf on wood panel. The artwork measures 48″x48″ and 1″ deep. The ‘Following the Sun’ series represented by mixed media artworks brings together concepts and imagery of positive nature, embodying spiritual and physical growth, a documented journey towards personal fulfillment and finding truth. Still punctuated by our “Lunar Journey”, a more personal view of our shared journey, “Following the sun” observes symbolic elements like sun flowers, Skylarks, loaves of bread, wings, sky and clouds and the human figure most of times revealed technically in the presence of silver leaf which with its reflective qualities brings the needed dimension of light.